Ever had the problem of using your phone as an alarm clock and it runs out of battery quickly when listening to music in bed? Well this multipurpose branded alarm clock includes a light and a Bluetooth speaker, giving you no excuse to ever be late again and sleep badly! 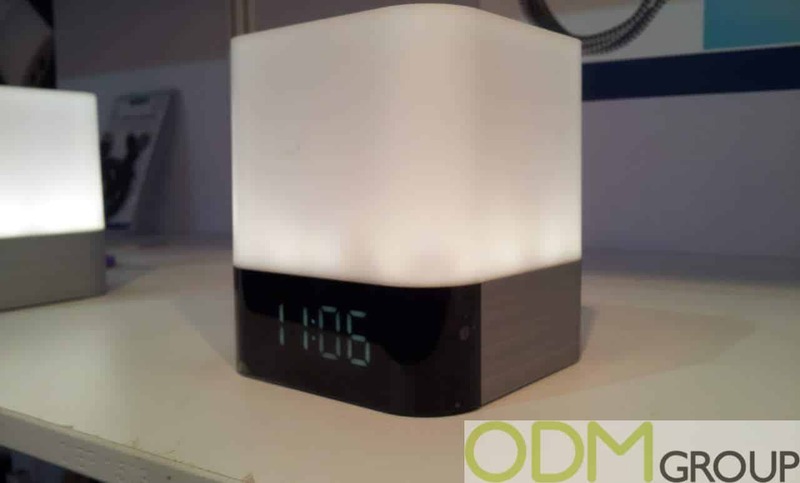 This branded alarm clock comes with a built in light and Bluetooth speaker, offering the user not only the ability to tell the time and set an alarm, but gives them the opportunity to have a reading light for when they go to bed while they supply their mind with music. This product would fit perfectly with any electronics company such as Phillips as well phone companies like Samsung and Apple. Multifunctional – The multiple uses with this branded alarm clock instantly adds value to the promotional product, differentiating it from a standard alarm clock and making it stand out from the crowd. Furthermore these different functions will increase the demand of the product as it offers so many more uses. Market fluidity – With 3 different options offered by the product it gives your company a selection markets and customers to target. This can be customers searching for it’s main function, the clock, or it’s secondary functions of the bed side light or the speaker. This flexibility therefore creates many more opportunities for a successful promotion and can even provide the tools to reach out to new customers. 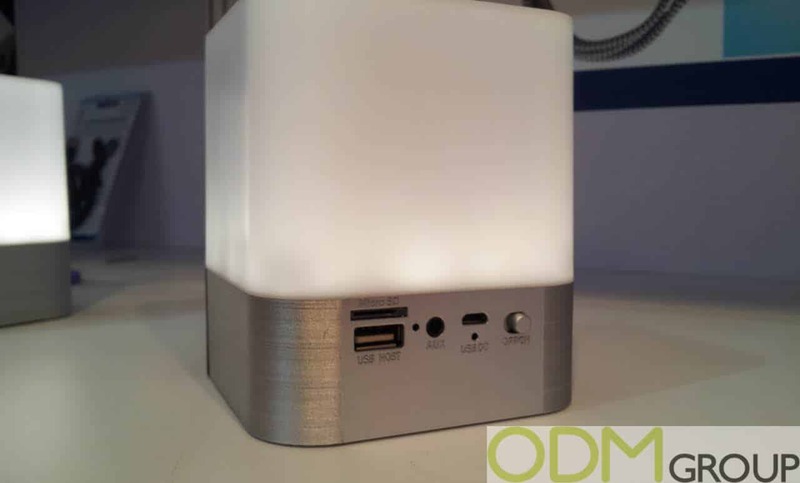 Design – With a sleek and attractive design this product can suitably be used in any home; allowing easy application of a logo to the light or the side of the metallic bottom. With or without a logo the products appearance is memorable. This is a great looking product with even greater number of functions. If you are interested in having a promotional product manufactured in China then contact us today for a quote on your next marketing idea. For this specific product please reference code ODM-1308 to us, and we will be happy to assist.